In the surroundings of the two buildings green areas will be created for the residents, with playground or community spaces. The Knézich Street has excellent conditions, it can be found on the sloping side of „Rózsadomb Miskolc“- it is the eastern part of Avas Hill. The city center is only a 5-minute drive away, altough the apartments are located in the green belt. The apartments provide spectacular panoramic views of the city and the Tokaj hill. The popular Népkert Garden with the sportshall and the ice rink are 3 minutes away, shops and offices in the downtown, theaters and museums are within a 5-minute distance. There are only residential properties in the surrounding streets , both single family houses and apartment houses, hereby we can provide an ideal opportunity for permanent residence for families with children, newly married couples, singles, peace-loving people and pensioners. The offered properties keep their value for a long time period and they are also perfect investments. During the planning of the apartments, we payed special attention to make all homes entitled to CSOK (Families’ Home-making discount), which consists of two parts, a non-refundable allowance and a loan with reduced interest, herby we would like to reduce significantly the burden of our partners when choosing their home for a lifetime. Comfortable public transport is available, the bus stop is 2 minutes walk away from the property. The essential requirements for comfortable living such as grocery stores, health centers , nurseries and schools are available within 5 minutes. We will be offering 18 apartments in both four floor buildings. All the apartments have spacious and sunny terraces. For those, who seek prime apartment, we can provide apartments with 3 or 4 bedrooms with 2 large, daylong sunlighted terraces. Our philosophy is that our plus-sized terraces provide extra living space.The large terraces becoming the part of the living spaces, increase the space of use, provide possibilities to our residents to enjoy the green environment from the comfort of nature itself. In accordance with modern requirements, the buildings are equipped with elevators. Disability parking places and barrier-free transport services are also provided. In consideration of families with children and young people, both buildings’ ground floor will include a pram and bicycle storage facility. Basements are suitable for parking and for storage of other vehicles, furthermore, there is also an open air parking lot. During the planning and implementation of the apartments, we fully bear in mind the current trends and do our best to implement more modern and environmentally sound and conscious solutions. There are energy saving L.E.D. lights in the common areas and during the formation of the heating system, the optimization of carbon dioxide emission was our goal. Using smart thermostats, we aim to reduce the costs of our residents and increase their attention to the environment. Using the solar panels placed on the roof, the cost of the hot water use will be reduced, hereby providing savings to all residents. With its off-white and anthracite grey plasterwork, and coral and off-yellow inserts, the building fits in perfectly with its built and natural environments. The condominium is fitted with color-coordinated anthracite grey plastic doors and windows, while all the apartments are furnished with large terraces constructed with off-white perforated sheets and planed wooden handrails, bringing nature close to home in the heart of the city. Both condominiums are modern buildings constructed on reinforced concrete pillars, filled with “Porotherm Klima“ blocks of 38 cm width and Dryvit thermal insulation of 10 cm width between the pillars. The apartments are soundproofed with airborne noise protection acoustic panels. The floor slabs are fitted with structure-borne sound-proof insulation. The building has modern flat roofs with standing seam metal roof panels and solar panels. The two condos have separate underground garages, with access to the energy-efficient ReGen regenerative elevators that move up to the panoramic penthouses. In line with fire safety standards, the garage-level stairwell door is fire-resistant, and divides the living spaces and the basement level into separate fire compartments. The entrance doors are safety doors with five-point locks. The anthracite-grey plastic windows and large patio doors are made with double-sealed triple glazing. The staircase windows are operated by electric window openers. The sanitary rooms have sandblasted glazed windows. The staircase is covered with non-slip gres porcelain stoneware flooring panels. The sanitary units (bathrooms, toilets) will receive ceramic floor and wall tiles, while the other rooms have laminate flooring. The terraces have frost-resistant and slip-resistant gres stoneware flooring panels with waterproof sealant and adhesive, and are equipped with translucent but not transparent perforated balcony panels. The terrace was designed to be an organic part of the living space, while ensuring privacy from curious eyes, unlike some other modern but not practically designed apartment buildings. We also offer personalized flooring and tiling options to our clients for a customized look. When it comes to electrical wiring, our principle is to install covered wall-mounted fittings. Uptakes will be accessible through surface-mounted electrical inspection boxes. The structure of the apartment division walls allows for wall-mounted electrical conduits, while for the surface-mounted switches and sockets, the interior walls have in-floor conduits placed in the concrete floors. In line with accessibility standards, switches are mounted at the height of 1 meter while recessed electrical sockets are mounted at the height of 0.4 meters. Both apartment buildings are equipped with doubly secured, centralized boiler rooms controlled by the automatic weather-sensitive control system. In addition, all apartments are equipped with individually adjustable smart thermostats and individual calorimeters, which allow for tenants to adjust the temperature to their preference at all times. The roof-mounted solar panels support the central heating and water-heating systems while reducing energy expenses. The buildings operate with gravitational ventilation. 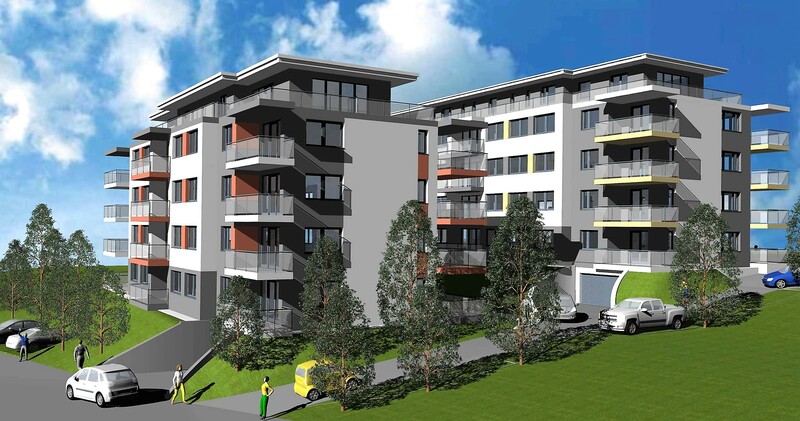 The apartments will receive built-in ventilators and the pantry, toilet, bathroom and the kitchen extractor hood will operate with separate ventilation fittings. 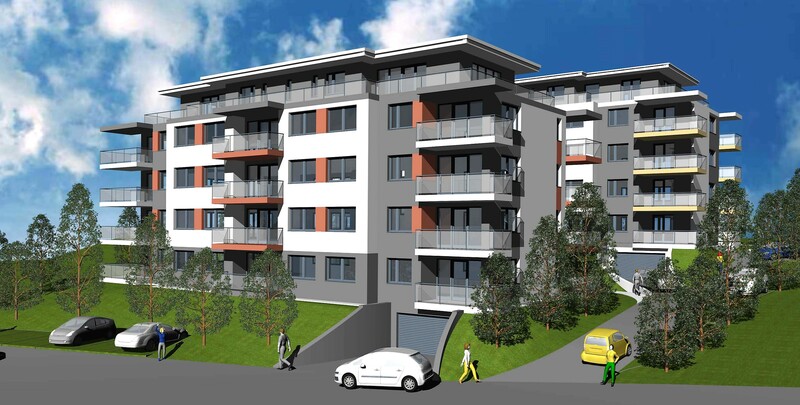 Apartments will also be equipped with intercom systems accessible at the entrance gate and the building entrance, as well as with security systems and air-conditioner installation options, while every room in the apartments will be fitted with television outlets. Those customers who became an owner in the early stage of construction can even more personalize their future home. 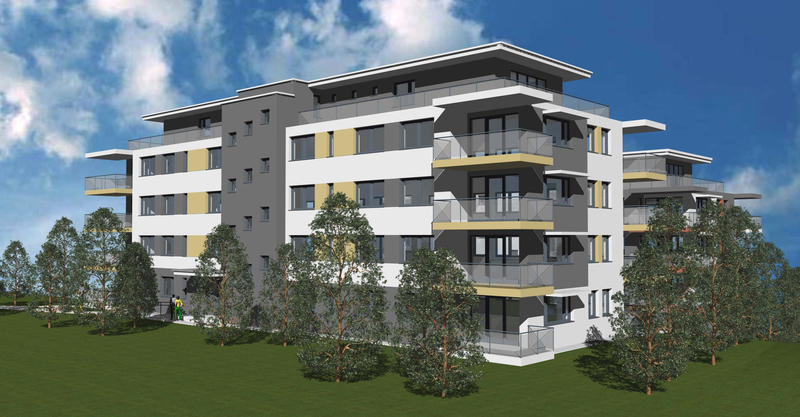 Those who decide the earliest to buy an apartment in Knézich Terrace have the opportunity to modify the plans, the electrical wiring, the fittings and other equipments until the construction is not finished. by choosing the hot and cold covers, the entrance and interior doors, the colors of the two layers of wall paints their new home can be such reamed. © , Lyukoinvest Fejlesztési Kft.